How Many Plumlee Siblings Can You Name? This photo makes me uncomfortable (via AP). 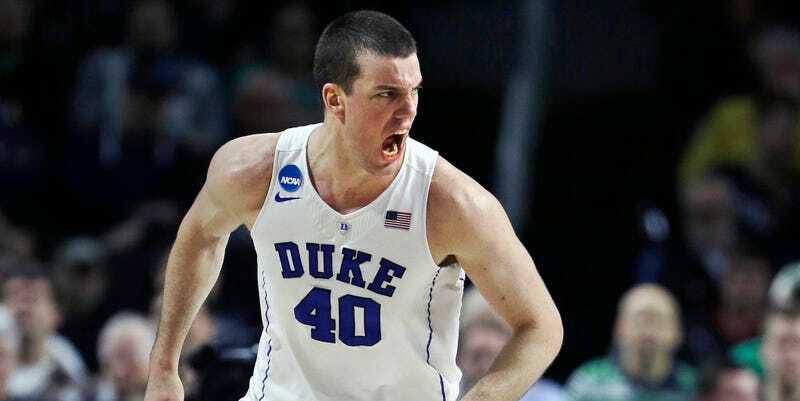 The thing about the Plumlees is that there are so many of them, and the other thing about them is that all their names start with the letter “M.” A Plumlee who will remain unnamed right now is taking on Yale today, so, to get you ready, we prepared a quiz. How many of these M names are true Plumlee children?